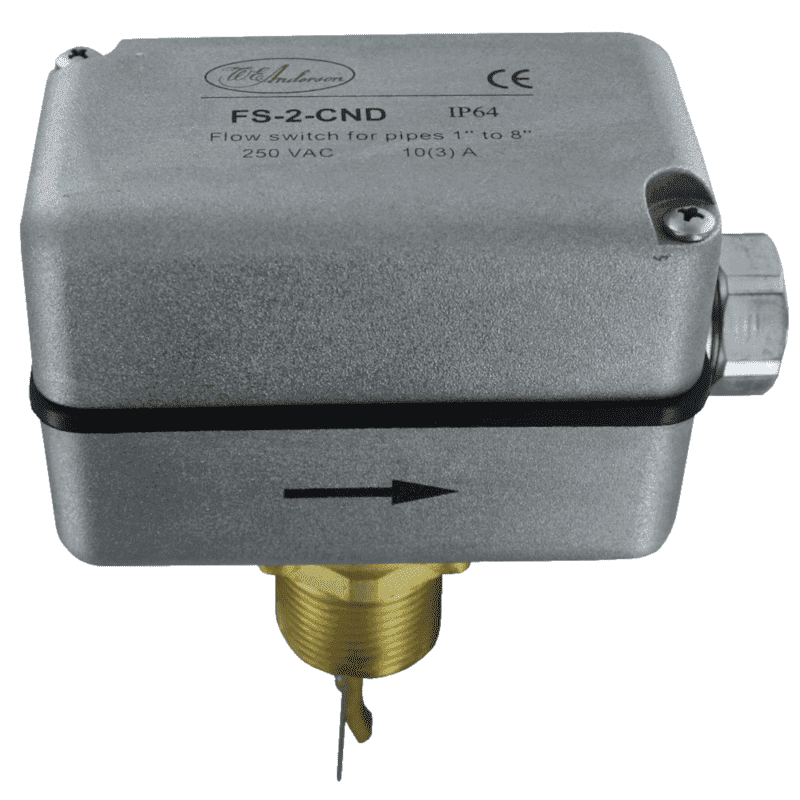 The FS2 series is a vane switch for flow detection in water pipes. These flow switches can be used as flow detection in cooling systems and central heating systems in building automation. 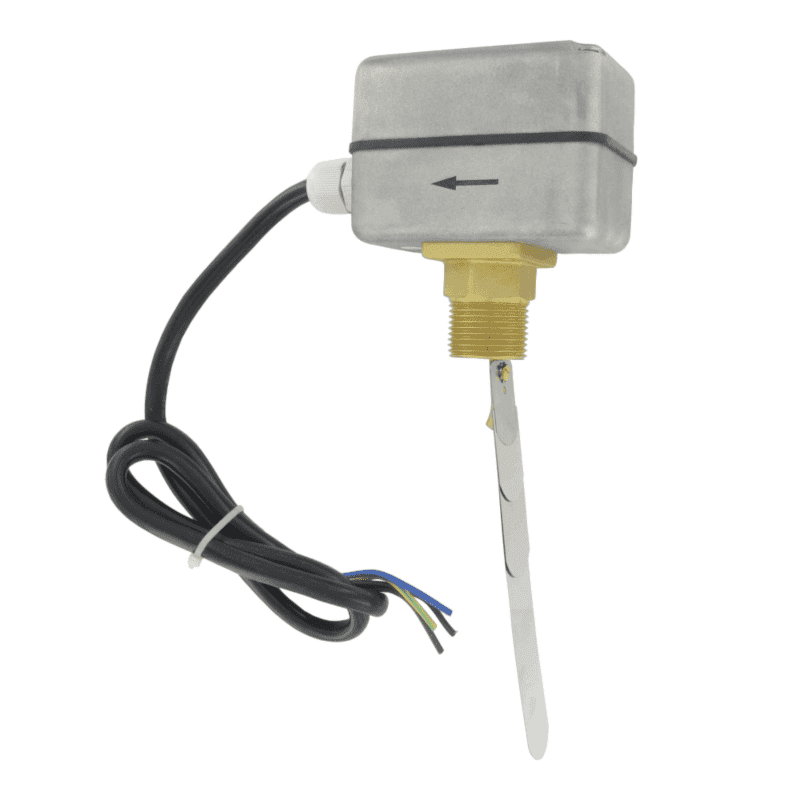 The switch can be used to detect whether or not there is flow in a water pipe to start or stop the operation of a pump. 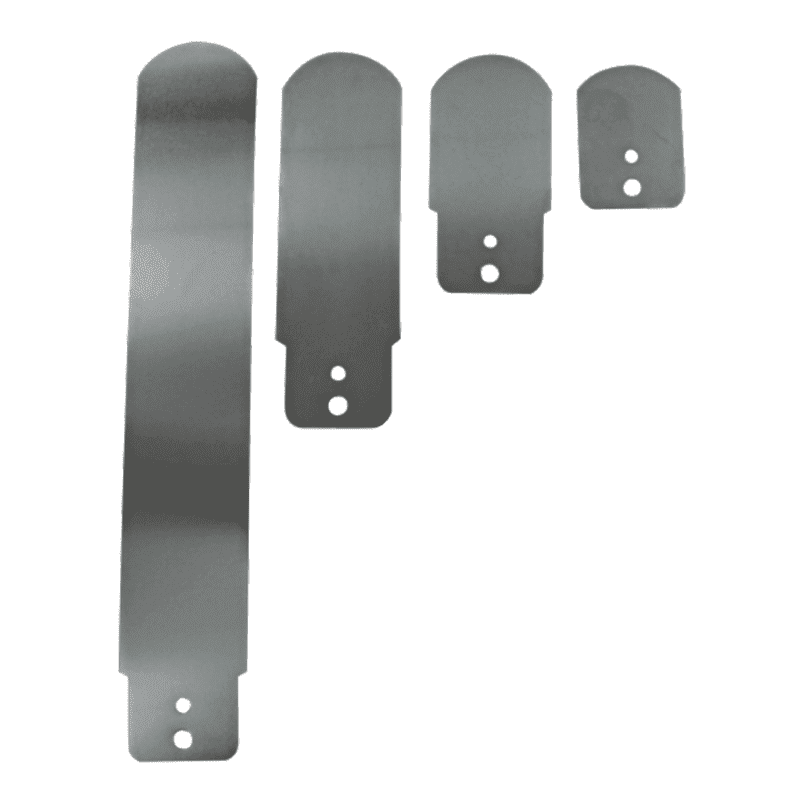 The FS2 series has a brass threaded connection and the vane is made of stainless steel.